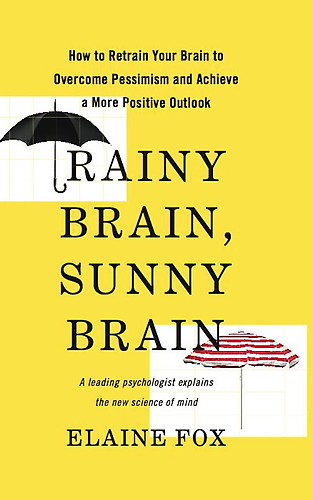 This link is to a review of “Rainy Brain, Sunny Brain” by the psychologist and neuroscientist Elaine Fox. The review (by Deborah Kotz) is short and the information is good. She makes “Rainy Brain, Sunny Brain” a promising read. And while every activity we engage in affects our brain in some way, optimism is particularly pleasurable. But if it seems out of your reach, this review may give you some hope. This entry was posted in Lighter Side of Life, Mental Clarity. Bookmark the permalink.